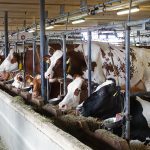 Today, Swiss voters voted on a cycling and two agricultural initiatives. Voters were asked to decide on whether to elevate cycling to the same status as hiking and driving. 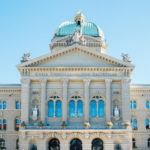 Currently, Switzerland’s constitution mentions roads and hiking trails, but not cycling lanes, something many cyclists would like to see changed. The first agricultural initiative, the Fair Food Initiative, was aimed at making food healthier and its production more environmentally friendly. 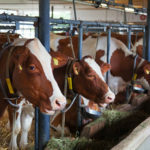 The second, entitled the Popular Initiative For food sovereignty, sponsored by the farmers’ union Uniterre, was aimed at ensuring Switzerland preserves it current farming model. Both the Fair Food and Food Sovereignty votes were rejected by 61.3% and 68.4% of voters. The often seen linguistic divide was apparent on the these two votes. The French-speaking cantons of Geneva, Vaud, Neuchâtel and Jura were all in favour of them, while all other cantons rejected them. 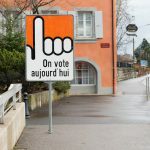 The cycling vote was accepted by 73.6% of Swiss voters, with all cantons in favour of elevating the status of bicycles.